We are saddened by the loss of Chin, please check back for updated information. 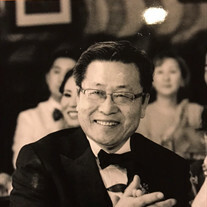 The family of Chin "James" Yun created this Life Tributes page to make it easy to share your memories. Send flowers to the Yun's family.